Prof. Sonia Laszlo is Associate Professor of Economics at McGill University, Canada. She received her PhD in Economics from the University of Toronto in 2002, specializing in economic development and labor economics. Her main research areas include rural development, access to markets, and the relationship between income, health and education in economic development. In addition to using traditional analytic tools to understand some of the micro‐economic dimensions of economic development at the individual and household level, she has been increasingly using experimental and behavioral methods to shed light on important questions about economic decision‐making in these settings. Prof. Laszlo has focused most of her research on Latin America and the Caribbean, especially Peru and Mexico. She is also a member of McGill’s Institute for the Study of International Development (ISID), the Centre Interuniversitaire de Recherche en Organizations (CIRANO) and the Grupo de Analysis para el Desarrollo (GRADE). 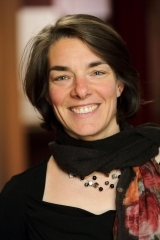 In 2005 she co‐founded and has since been an executive member of the Canadian Development Economics Study Group (CDESG), which groups both academic and policy development economists in Canada. Engle-Warnick, J., and S. Laszlo. 2017. "Learning-by-doing in an Ambiguous Environment." Journal of Risk and Uncertainty Vol. 55 (1): 71-94. Grimard, F. and S. Laszlo. 2014. "Long term effects of civil conflict on women's health outcomes in Peru." World Development Vol. 54: 139-155. Hunt, J. and S. Laszlo. 2012. "Is Bribery Really Regressive? Bribery's Costs, Benefits and Mechanisms." World Development Vol. 40 (2): 355-372. Engle-Warnick, J., J. Escobal and S. Laszlo. 2011. "Ambiguity Aversion and Portfolio Choice in Small-Scale Peruvian Farming." B.E. Journal of Economic Analysis and Policy Vol. 11 (1): Article 68.